→How To Install LED Light Strips In The Car? LED light strips are great when it comes to upgrading the beauty. Not only they will look good after installation; they will also grab the attention of lots of people. If you are a car lover, you will always look for ways to make it more attractive and unique. You will feel a sense of achievement when your friend and families will compliment your remodeled car. Installing LED light strips in the car is not only done for the attraction purpose; it can be used for security purposes too. You can identify your car in a parking lot if it is overcrowded with cars. You can even detect it in a dark place if you are having a hard time finding it. So, it proves that it is beneficial for you in many ways if you go for the installation. Following the article, you will get to know about the steps needed to follow to get your job done. If possible, take recommendations from experienced people who have installed the strips in their car. In this way, you will have an idea which particular set to buy. Google it or go through different websites to check which one will look best for your car. Do not forget to check the reviews of different customers’ experience with the strips. After that, go to the store to buy it. If you are up for making your car look sporty, check whether there are any LED strips that can be changed to different colors. Better if you should buy it physically instead of ordering it from online. Some of the strips might not light up properly due to some electrical issues. Ordering it online will delay your time for installation if the performances of the lights are not up to the mark. So, it is best to go to the store and check everything before making the payment. Start by cleaning the strips to remove any debris attached to it. If you do not do it, the lighting will not be up to the mark. People might think that you just bought some old LED strips for your car. You may even feel like you bought an old one. So, it is better to clean it with a fresh cloth or any other wiping stuff. Not only you can install it underneath the car, but the setup can also be done on the headlights, trunks, door handles, and other car parts. Choose dark places where standard lights cannot pass through. Installing in these places will give extra light effects which will add life to the overall beauty of the car. Choose a place where you want to fix it. Measure the length of the place and cut the strips according to the measurement. There will be instructions given in the package, so go through it. This will help you to get an idea about the way to cut it precisely. The best place to install is underneath the car. According to the cutting size, attach the strip ends with bolts. This will help you to adjust the strips correctly. Finish it by securing the strips with zip ties. Take the wires and extend it up to the engine bar and make the connection to the module box. If the wires are unable to reach the engine bar, use extension cables. You do not have to buy any extra cables; these extension cables come with the original packaging. Now, comes the critical part. Connect the red wire to the positive part of the battery and the black to the negative part. The negative terminal of the battery is also known as grounding. If you are stuck with additional wire and about its usage, check the instruction that comes with the packaging. Always keep the module box in a closer distance from the battery. Keep it distant from the engine or else damages can occur. Check the battery position whether it is dry or not. Make sure the module is placed in a dry place. A wet place will cause electrical dysfunction in the box which can create overall disconnection of the LED strip lights. As you are done with the installation, check how the strips are working. If you have installed multi-color strips, do check whether the modes can be changed quickly or not. For a single color, just check the color visibility. Along with all of these, check the brightness. Go for the best-LED light strips. If it costs a bit above your budget, do not hesitate from buying it. If you do not know how to install, take advice from an experienced project worker. Consult with the manufacturer or even look up on the website for any tutorials about the installation procedure. Check the packaging and the barcode for its originality. When you are extending the wires for connection, hide it below the carpet or use anything to prevent visibility of the wires. Module box consists of an antenna. Extend it for better reception. If you install it in the car headlights, the LED lights will only lighten up the time you turn the headlight on. If you use a special power adapter, you will have control over the adjustment of the brightness and different color modes. If the lights get dimmer, check the electrical connection again. If it still does not work, contact the manufacturer. Always use zip ties to secure the strip sets. Visualize the place where the lighting will look best. Use an equal number of lights for every strip and keep them at an equal distance from each other. 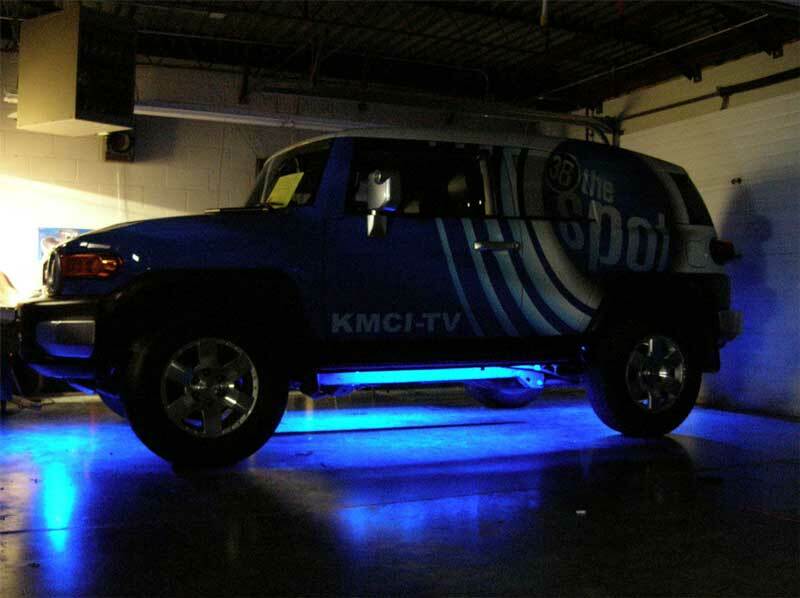 LED light strips are a new trend that everyone is using and following. Not only it upgrades the beauty, but it also consumes less energy and sustains for a more extended period. You will see a car with these lights at some point in your life. So why wait for it? Install it as soon as possible.